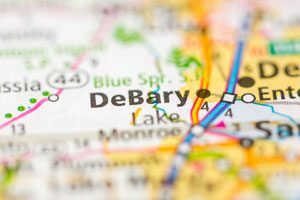 Planning a move to DeBary? It’s a great place to call home because it’s just far enough from the city to allow you to stretch your legs, but it’s only a short drive away from everything Orlando has to offer. If you’re ready to call DeBary home, get your moving services from AAA Insta-Move. No one does local moving from Orlando to DeBary better than our moving experts. Because our primary concern is your complete satisfaction, we are a leading moving company in the area. We’re a proud member of the Florida Movers and Warehousemen’s Association and we’re a ProMover with the American Moving and Storage Association. No matter what your move entails, we’ll get you there quickly and safely. Not all Florida moving companies do it all. Some may choose to focus on small moves, while others may have expertise in coordinating larger moves. That can make finding the right mover difficult. We’re able to assist with nearly any move because we personalize our services to meet your needs. From specialized packing services to storage options, we’ll customize a plan that makes your move as stress-free and affordable as possible. 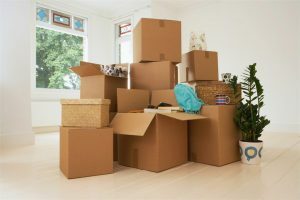 Every moving company does things a little differently, which can sometimes mean you’re left in the dark about exactly what your move entails. Only Orlando’s best moving companies make sure all the T’s are crossed and I’s are dotted before your move begins. We start every local moving from Orlando to DeBary consultation with a free estimate so you can better plan and prepare for your move. Give us a call or fill out our online form to get your estimate today!